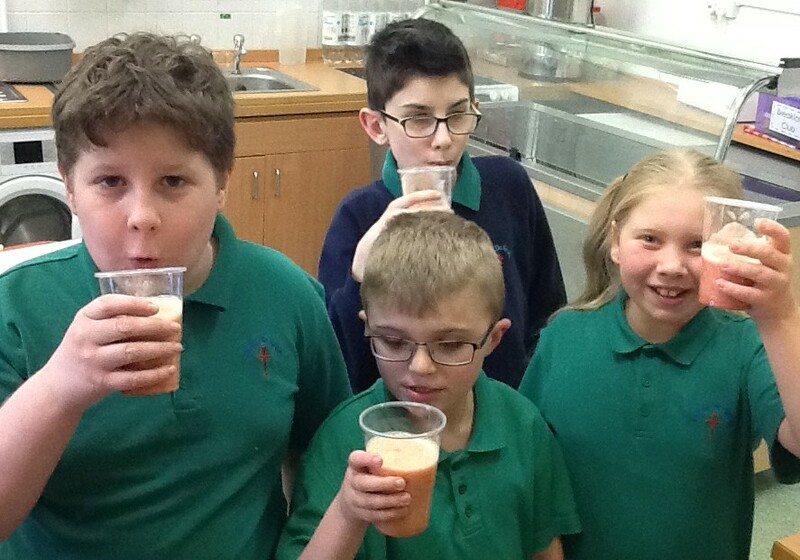 Today the children in Wiggins Class have made delicious smoothies. 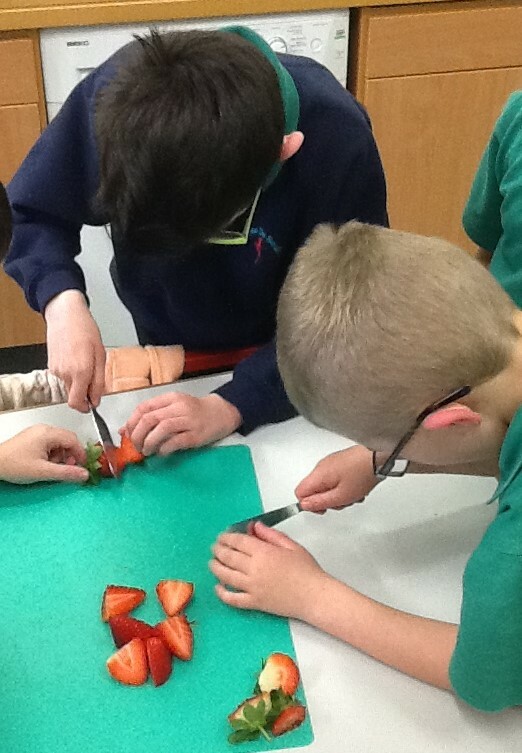 We have been thinking about healthy eating and trying to find ways of adding more fruits and vegetables into our diets. We chose a recipe of bananas, strawberries, orange juice and vanilla and set to work. 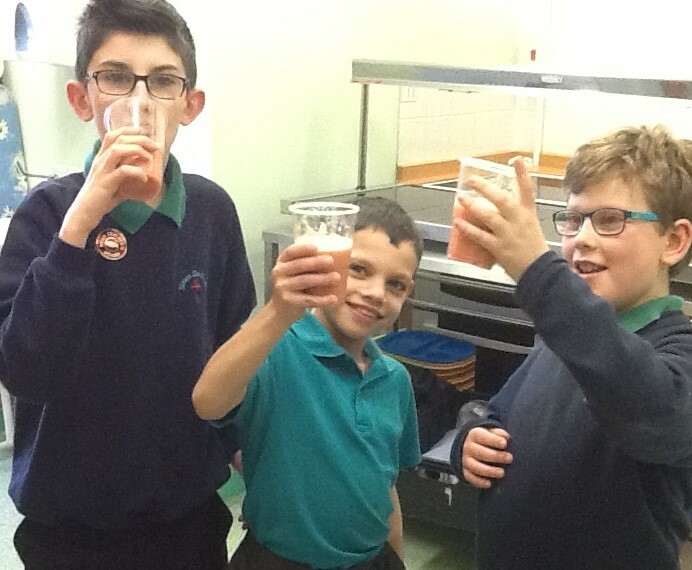 All the children enjoyed the smoothie and wanted to have a go at creating different recipes at home. I also bought a smoothie for them to taste and set a challenge for them to be able to tell me what flavour it was. Jessica quickly detected strawberry and Finley was correct with apple, but the third flavour stumped them all. It was beetroot! “Uhhhh!” they all said after downing the lot!! What a great way to add vegetables into their diet! I am looking forward to hearing about the different fruits and vegetables they choose to use at home! The possibilities are endless! They Look tasty well done.